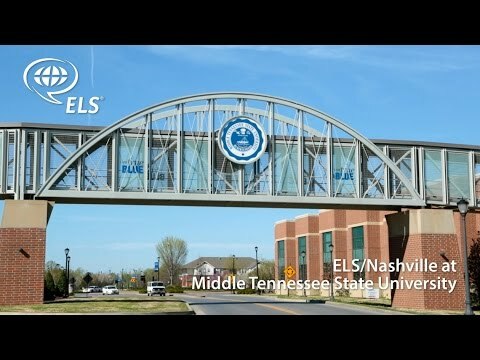 In “Discover: ELS/Nashville” students and staff discuss the warm and welcoming environment at ELS/Nashville and Middle Tennessee State University (MTSU). Students receive help in improving their English skills through training in speaking, writing, reading, vocabulary practice and more. ELS teachers often stay after class to help students improve their skills in order to help students be ready for university study. While at the Center, students are able to participate in many activities like enjoying music in Nashville or visiting Murfreesboro’s annual festivals. Located in Murfreesboro, Tennessee, just 30 minutes outside of Nashville, the Center provides students with a small-town feel while also giving them access to the excitement of a big city. MTSU is one of the oldest and largest universities in Tennessee and has over 24,000 students, including over 1,000 international students. The university offers affordable tuition, academic quality, and student-centered learning to help create unique educational opportunities for students. To learn more about ELS/Nashville, click here!